Are you absolutely tired of the way your bathroom or kitchen looks? Then this is your month to make a change. October is National Kitchen and Bath Month ... a time to focus on remodeling projects in those two rooms of the home. And, October 17 is National Mulligan Day --- you get to have a "do over" for any room you don't like! Too often people live with the windows they "inherited" when purchasing an older home. Perhaps you have windows that are too close to your neighbors or that bring too much light (and not enough privacy) to your bathroom. Time for a do-over. 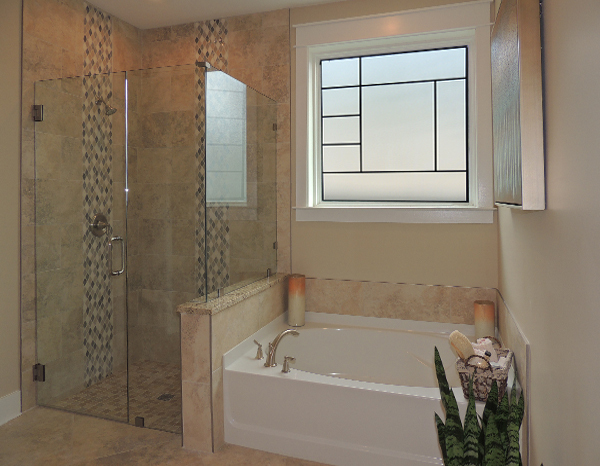 Decorative glass and acrylic block windows from Hy-Lite give you the privacy you crave with designer style. Whether adding to a kitchen, bathroom, closet, or hallway, these easy-to-install windows enhance your home setting. So this October, forget about living with windows that don't make much sense. Instead, plan your do-over to include window solutions from Hy-Lite.